Are you looking for a way to make more money, but don’t want to go out and get another job? Would you like to learn how to increase your income by working online, straight from the comforts of your home, possibly without even getting out of your pajamas? 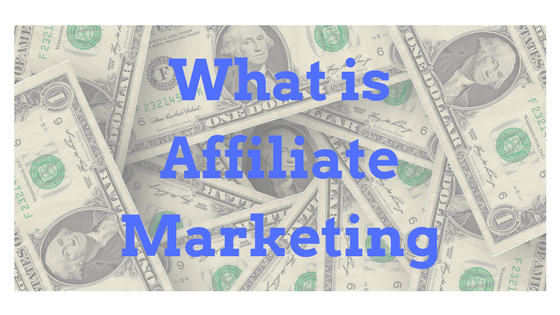 If you answered yes to either (or both) of these questions, you are in the right place to learn about Affiliate Marketing. You probably already know that there are many ways to obtain what you want financially because others have found them and profited from them tremendously already. You just need a little direction in your search. Let’s take a look at the most popular Internet-based ways of making money available to you today. Earnings Disclaimer: You can make nothing or you can make a million dollars. Your ability to succeed is based on your ingenuity, creativity, ability to reach your target market, and unwavering perseverance. As long as you continue to learn from your mistakes, perfect your steps, and choose to do the best you can, then you will win in the end. It is the most important method of making money online because you can combine it with almost any of the other methods that are in this book. Affiliate marketing involves selling other people’s products or services on your website, social media page, YouTube account, and other Internet-based pages, thereby earning a commission on each sale. Of course, this money making option requires that you have (or create) an Internet site or page and that site or page caters to the same market as the merchant or advertiser that you want to highlight and you should also have enough visitors. But once you have that, you could make some serious cash. relevant to your subject or topic. For instance, if you currently own and operate a website that is somehow related to money or financial issues, you could increase your income base as an affiliate marketer (in which you would be called the publisher) by promoting and selling products and programs related to this topic (like the programs sold by Dave Ramsey, creator of Financial Peace University, or Jim Cramer, host of Mad Money). However, if you don’t have a page or site set up currently, what types of products or services are you interested in? What are some things that you are knowledgeable about and can discuss intelligently with your readers? Select a category that you love or could add value to and the rest of the process will be much easier for you. options to consider include developing a price comparison site, crafting a review site, or making a discount site for products that people commonly buy online as each one has the ability to attract consumers looking for specific items. Also, sites like these serve a functional purpose for the consumer; whether it is to help them save money, figure out which products are higher qualities, or both, while putting more money in your pocket at the same time. you expect your reader to be? Think of the items that you have no problem recommending to your closest family and friends and your passion for them will shine through more clearly, getting your reader as excited about them as you are. Pick which affiliate marketing site(s) you’d like to use and set up an account. If you’re new to affiliate marketing, you may want to check out sites such as Clickbank, Amazon Affiliate Programs, E-Junkie, Pay Dotcom (which pays commissions via PayPal), and CJ Affiliate by Conversant (formerly known as Commission Junction). Each of these can direct you to the merchants best suited for you, allowing you to make the most money from your marketing affiliate program. You’ll want to pay close attention to how each one works and consider the impact it could have on your potential profits. For instance, Click bank lets you earn up to 75% of the product price and Pay Dotcom offers commissions up to 80%, but you may actually make more money off Amazon Affiliates even though they give you a lower percentage (6-15% depending on which program you choose) as they are one of the biggest online shopping retailers worldwide. If you already have a successful blog or website that draws a lot of traffic, you may even get paid by a business for simply promoting their brand or name on your site, such as with Google Ad Sense. Options like this are often set up as pay-per-click, where you are reimbursed a certain rate for every person that clicks on the affiliate link that you have displayed somewhere on your site. with. First and most important is the commission you will get for each sale. Aim at 60%+ commissions for digital products. On average, most digital products on Click Bank sell between 35$-85$. Applying this rule you will be making at least 21$ per sale. If you promote physical products, don’t stick with a specific percent but make sure you will earn at least 50$ per sale since physical products tend to sell harder than digital ones. Next, make sure that the product has High Gravity. This means that a lot of people have made an affiliate sale in the past week, which basically means that the product is in high demand. However, this will also mean that you have a lot of competition to sell the product. So my recommendation is to aim at products that have average gravity, but also have a great sales page. Make sure they have a lengthy sales page and compare them with other competitive products, so you can see if they will covert well. selected an affiliate program you want to promote, you should get an affiliate link. It is important that you just paste it on your website, blog or channel. If you place it on your website or blog, I recommend adding the link to the name of the program or something that represents it, instead of just pasting the link, which will be very unprofessional and also everyone will know that this is an affiliate link. If you are using YouTube to promote the product, you can use a link shortener like this one by Google “https://goo.gl” This way your links will look much more professional. your very own. Get your readers and followers interested in the items, programs, or services you have chosen so that they are willing to click on them and most importantly buy them. Not only you want to promote these things on your base site, but don’t be afraid to post about them (with the links) in groups or forums that are relevant to your target market too. The more exposure you can get, the higher your chance of making sales—and money. So, how much money can you make as an affiliate marketer? According to a poll conducted by Finch Sells, the majority of affiliates (just under 19 percent) earn $20,000 or less annually. Don’t let that discourage you though. Almost six percent of the respondents reported that they earn over two million dollars a year by selling other people’s products, services, and brands. That’s worth it, right? Therefore, it’s largely up to you how far you will go and how much you stand to make with this particular online money making option. Obviously, the more traffic you can draw to your pages and the more time you put into promoting yourself and the affiliates that you’ve chosen to do business with, the more successful you will be. If you want to increase your earning potential, it may benefit you to join an affiliate marketing forum like Digital Point, Warrior Forum, or a BestWeb. Forums such as these allow you to interact with other affiliate marketers who can provide you with the tips and tricks you need to help you succeed, thereby allowing you to earn a higher income at a faster rate than if you try to figure out affiliate marketing all on your own. Making money online is possible and you have the viable option to choose. This can be your hobby which can produce incomes capable of supporting you and your family easily (see Earnings Disclaimer). But none of them will work unless you put the time and effort into them that they require. There is no such thing as easy money; there is only becoming more efficient and effective so that it comes to you faster and with less effort. Hopefully, now it will. Now if you would like to learn about an opportunity to earn Affiliate Commisions then check out this video on this site.